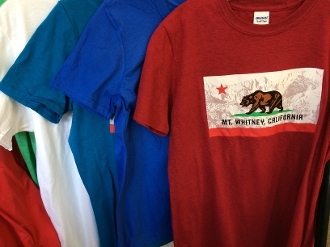 Dry Wic or Cotton short sleeve T-Shirt. Mt Whitney, California. California flag, Mt Whitney Background. Please call 760 876 0030 for size and color options.